Lewis Hamilton has absolved Martin Whitmarsh of any blame in his move to Mercedes, saying there was nothing he could have done to hold onto him. Last week it was confirmed that Hamilton is on his way to Mercedes next season, bidding farewell to McLaren with whom he has a 14-year relationship. The decision resulted in McLaren in for some stick from the British press and fans who felt that the team – and especially Whitmarsh – had not done enough to persuade the Brit to stay. Hamilton, though, insists that’s not what happened. “It was not about the offers. I had two offers on the table which were very, very similar,” he said. He added: “I wanted to make sure that Martin knew how much I appreciated all the support he has given me over the years. The 27-year-old, who finally broke his silence over the move for the first time while speaking to journalists in Japan, said it was one of the hardest decisions he has ever had to make. “It was like a pendulum. One moment I’d think let’s go for it, the next I’d think, I’m going to stay. Eventually it became clear in my mind. “I already had the feeling a few days before but it stuck with me and I didn’t have any swinging back. Then I got to Thailand and it was incredibly peaceful and I just sat by the pool and thought for several hours. “It was important to do it on my terms in my own time rather than other people’s. I wasn’t going to be pushed and rushed into this decision although there was a lot of pressure – Martin had been asking me when I was going to do a deal since China last year. Hamilton revealed that he has yet to speak to Ron Dennis, McLaren’s former team boss and his first point of contact with the team all those years ago. The Brit, though, is determined to leave the Woking-based outfit on a good footing, conceding that one never knows what the future holds. “I don’t feel as though I am going out of McLaren through the back door. I am going out the front door happily. 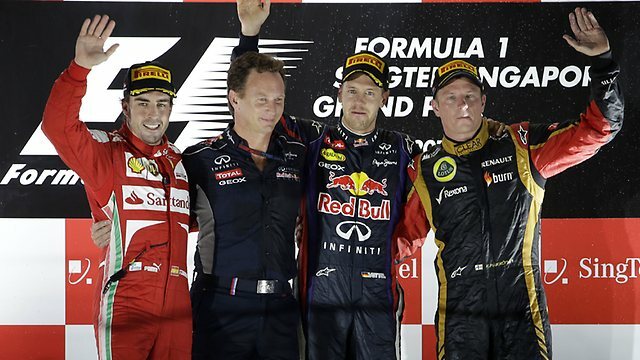 New Delhi: It is hard to believe Kimi Raikkonen stayed away from Formula One for two years. The ‘Iceman’ is one of the title contenders this season with six podiums already. Now as the F1 gears up for the Asian circuit, the Lotus driver is eagerly looking forward to his first race in India. Raikkonen, who returned to F1 after a stint in the World Rally Championship, found the track at the Buddh International Circuit (BIC) interesting on the simulator. “It is great to be racing there and the track looks interesting. I always liked to visit new countries and India is an exciting place. As far as performance goes, we won’t know how well the car will perform until we get there,” Raikkonen told IANS in an e-mail interview ahead of the second Indian Grand Prix (Oct 26-28). Raikkonen and Frenchman Romain Grosjean are part of a brand new Lotus line-up for the 2012 season. The duo might not have the first-hand experience of the BIC track, but the 32-year-old Finn has heard a lot of good things about it from the team’s reserve Jerome d’ Ambrosio, who drove for Virgin last year. “Romain, too, hasn’t raced at BIC, but going by what I heard from Jerome it looks like an exciting track. But I would still say, it is better to get out on the track and experience it for yourself,” said Raikkonen as he prepares for the Japanese Grand Prix at Suzuka over the weekend. It is sheer consistency that has taken him to third place in the drivers’ standings and that, too, without a win. His tone is the same when you talk to him about his return to F1. Apart from India, South Korea (Oct 12-14) is another new venue for Raikkonen. The 2007 World Champion welcomes the expansion of F1 calendar, calling it good for the sport. “Korea is another one where I will be driving for the first time. The circuit looks good and it is a new port of call for F1. It is good for the sponsors. I am looking forward to driving on the new track,” he said. Robert Kubica took victory on his return to competition in an Italian domestic rally on Sunday. The event was the first motorsport contestthe Pole had entered since sustaining horrific injuries in a rally accident in Italyin February 2011. Driving a Subaru Impreza World Rally Car with Giuliano Manfredi, Kubica won all four stages of the Ronde Gomitolo di Lana rally to claim victory by nearly a minute over Omar Bergo’s WRC Mini. Before the start of the rally, Kubica told Italian television channel that the event marked the start of “a more active phase” in a recovery that he still hopes will bring him back to Formula1 eventually. “Let’s hope we can enjoy ourselves, without looking at stage times because in the end it’s a matter of re-establishing the way of driving and helping the arm to recover better,” said Kubica. Fernando Alonso concedes it is difficult to say whether or not Robert Kubica will make a return to Formula One. Former BMW and Renault driver Kubica has been out of action since the start of last season after he suffered life-threatening injuries during a rallying accident in Italy in February 2011. Although the Pole is determined to return to competitive racing – he has already done a series of tests in an F1 car simulator – his close friend Alonso admits he is unsure if the 27-year-old will ever make a comeback. Turkish newspaper Haber Turk on Wednesday, says both the teams and F1’s governing body, FOA, were “happy” with Turkey. Turkey joined the F1 calendar in 2005 but the race attracted poor attendances due to high ticket prices and difficulty of access to the venue. It was dropped from the 2012 calendar when Turkey and the FOA failed to reach an agreement on the fee to stage the race. Many drivers have said they enjoy Istanbul’s testing circuit, which boasts the 640-meter long Turn Eight.